We were recently featured on the weekday mid morning show with Mark Dennison on BBC Radio Nottingham. Mark’s show usually contains a mixture of guests and stories from all around the Nottingham area. The interview contained practical advice for people suffering wisdom tooth pain, as well as an overview of the EZ Teether and the inspiration behind it’s design. You can listen back to the show on Iplayer Radio, the segment starts at around an hour and 12 minutes into the show. Mark Dennison: Jeevan Boyal is a student from Mapperley studying dentistry in Sheffield, so this is rather apt. He’s come up with something he thinks could be the solution to when you’ve got your wisdom tooth coming through and it’s causing you a bit of pain, painful gums all of that. The reason he’s doing this is he’s got his own firsthand experience of grumbly wisdom teeth. Jeevan Boyal: I actually had three wisdom teeth coming through at the same time and the fourth one has come through since. So this was in my second year of university so I’m on a five year dental course and I’m in my final year now. At the time my wisdom teeth were coming through I was trying to learn about teeth, but not being able to because my own teeth were hurting. On a walk home one day I spotted a baby who was using a teething toy and I thought “oh, that would be cool if I had something like that for adults”. Unfortunately there wasn’t so I set about creating my own. MD: Being a dental student I thought you’d know how to deal with every kind of problem. Generally speaking what is the solution if you have problems with your wisdom teeth? JB: There are a few different solutions depending on what exactly is going on so the early stages they tend to just recommend salt water rinse and I tried that, but that wasn’t really cutting it for me. The other solution after that is getting your wisdom teeth taken out, but at the time your teeth aren’t fully in your mouth so it’s quite a big procedure to have them out at that stage. So I was thinking to myself there must be something else just to help whilst they are coming through the gums. MD: Which then goes back to your story of seeing the baby with the teether, so you’ve now got your “EZ Teether”? MD: You’ve kindly brought one of these in for me, could you describe it. JB: Well, it’s a lipstick size and lipstick shape device which contains a resistant rubber surface made out of Santoprene, which is a medical grade rubber. So what you do is you place it in the back of your mouth and you can gently bite down upon it to massage the gums. It softens with use and it helps to provide pain relief. MD: So by chewing on the rubber what kind of effect does that give, how does that feel afterwards? JB: So you’re kind of chewing on it which massages the area, so it’s similar to a massage for your gums. Because what I’ve found when my wisdom teeth and my friend’s wisdom teeth have been coming through is it’s quite annoying and it helps to provide a welcome distraction as well as massaging the area. MD: Right, it’s painful as well I haven’t had this myself, but I’ve heard it can be quite painful, will this help that as well? JB: Yes, it can but, but if it’s infected we do recommend that you do see your dentist. MD: As we can see now, you’ve got the finished article, what’s the plan are you selling it online? JB: Yes, it’s available on Amazon. MD: You’re in your final year and about to qualify, what’s the plan are you going to go and be a dentist as well as have this or could this be your fortune? JB: Well I definitely want to stay in dentistry, so the whole reason I got into dentistry was to help people and through the EZ Teether I can do that as well. Perhaps I can help more people than I see in my surgery on a daily basis. But it’s a profession that I love and I can’t see myself giving it up. MD: How many of these have you sold already? JB: in the past week alone we’ve sold plenty, we were in the Sunday Mirror at the weekend so things are going quite well. MD: Right, I’m sitting here thinking it’s such a, I mean you’re right it’s sort of lipstick sized, it could go in your handbag, in your pocket whatever, part of me is wondering how come no one else has invented this before? JB: I can’t really answer that but I’ve invented it and it’s available at ezteether.com. MD: You’re good at marketing as well aren’t you! MD: How far do you think this is going to go? Because obviously if it’s online it means you’ve got a global market. JB: So I don’t know how far it will go but at the weekend or, last Friday in fact if you look on our Facebook page we were featured in Brazil on one of their pages, which was quite a shock to me. So I had to put a message up saying we’re only available in the UK at the moment, but that kind of shows that there is a demand all over. MD: As an almost fully qualified dentist then, what is the deal with wisdom teeth, at what age do they generally come through? Is this something that can happen at any point in your life? JB: So they seem to come through from around the age of 16 onwards. But some of our customers have been in their late 30s and early 40s, but traditionally they come from the age of 16 to the late 20s. MD: right, sometimes people might wonder what on earth wisdom teeth actually do, do they serve a purpose? JB: Well they can act as your regular teeth so they help with chewing and things but the reason that they’re there is evolutionary, people used to have harder diets so they would tend to lose teeth, so to have teeth come through later in life would be quite useful. But then these days we have softer diets and we take care of our teeth a lot better generally. So there may not be as much purpose for them these days. MD: Imagining I do have problems with my wisdom teeth, they start to come through, how long would I need to chew on this for? JB: Well, it just depends on the person really, it’s just until you feel satisfaction, so you can also put it in the fridge as well if you want to give it a slight chill, which has also been found to help, but there’s no specific time it just depends on the individual. MD: Say if I’ve been using it for a week and still wasn’t getting any relief what should I do then? JB: well I think in that case it’s important just to see your dentist just to make sure there is no infection or anything else going on. Because while it helps with your wisdom teeth as they are erupting it won’t help in cases of infection. 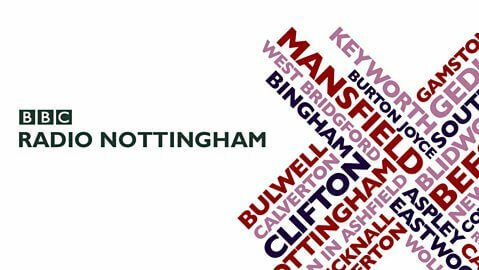 We would like to say a big thank you to Mark and the rest of the team at BBC Radio Nottingham for having us on the show!